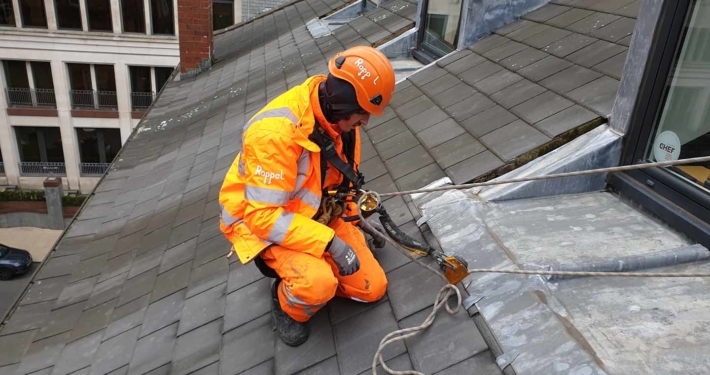 The periodic cleaning of silo, bin and hopper storage assets is a necessity to ensure that full capacity is maintained during normal operational service. 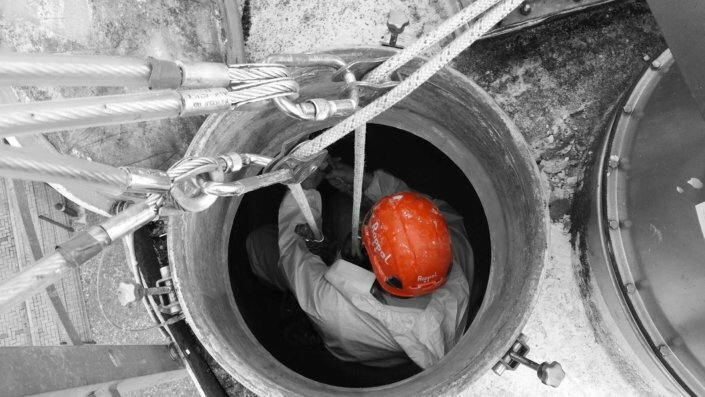 We offer a comprehensive range of confined space and rope access cleaning services that have been specifically designed to facilitate the safe access and egress within silo, bin and hopper assets. 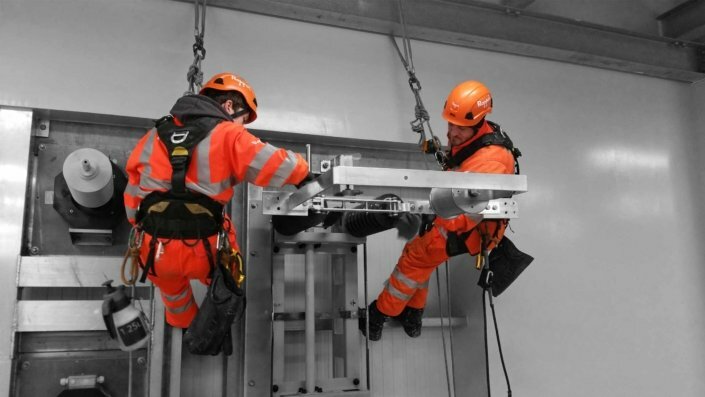 There are many inherent risks involved with working at height and within confined spaces. 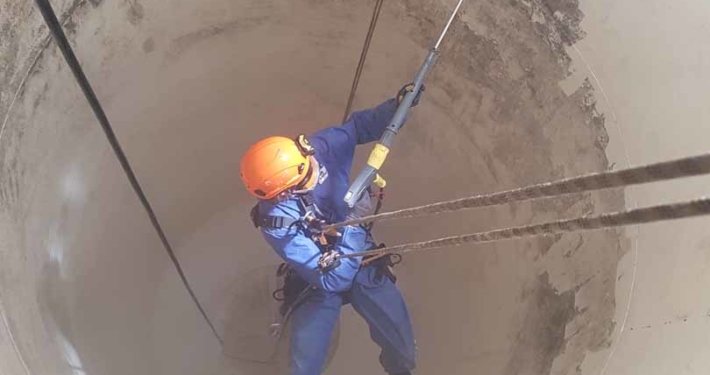 Our dedicated silo and confined space cleaning teams are fully trained, certified and highly experienced in both confined space and rope access operations. 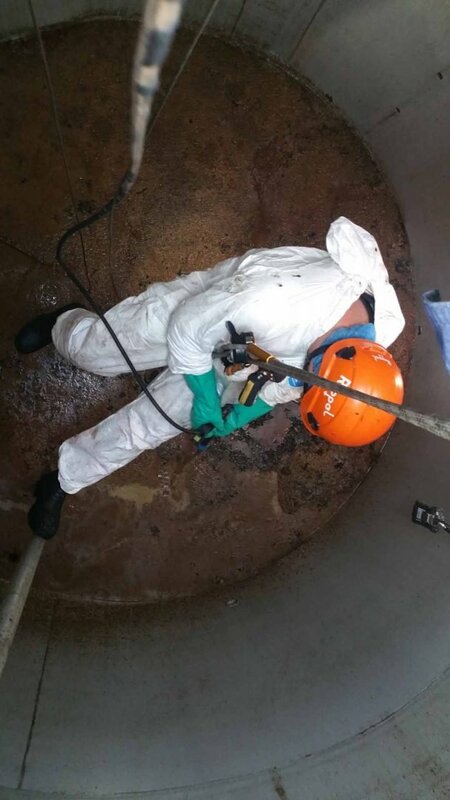 Our cost-effective silo cleaning and maintenance services are available nationwide throughout the UK. 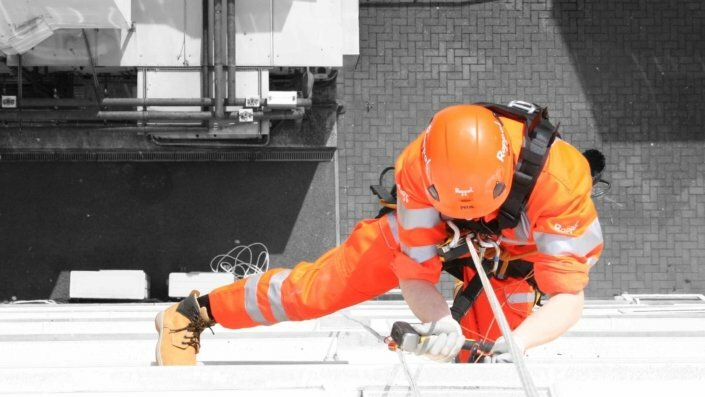 We also provide an emergency call-out service for urgent works. 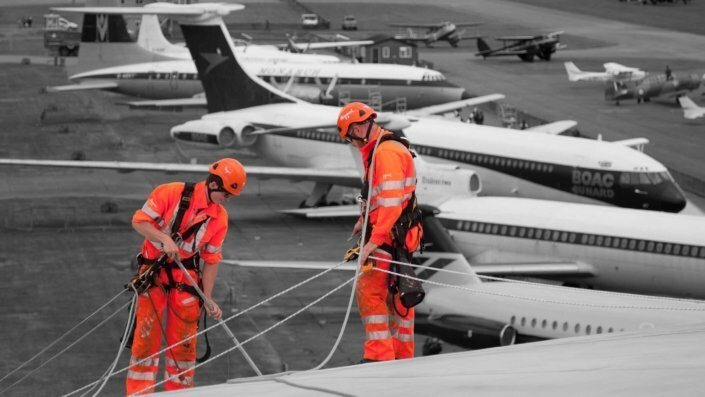 Please contact us for further information, advice or to book a free site survey. 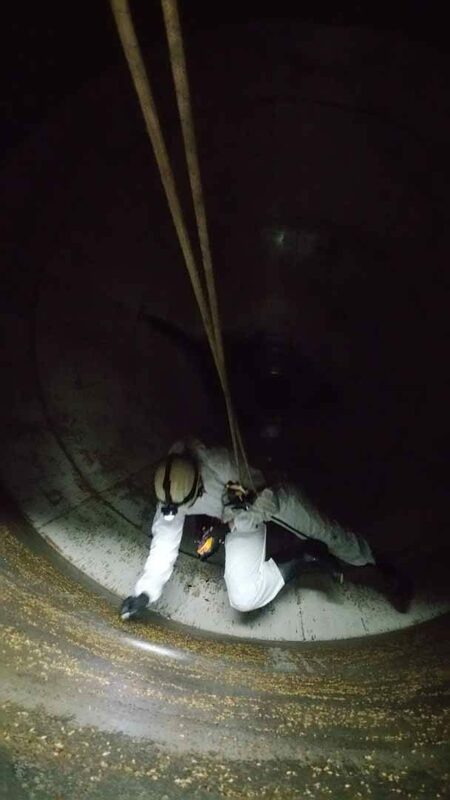 Silo, bin and hopper assets can be prone to developing stored product blockages and obstructions that are able to significantly reduce capacity, this can further develop into a full loss of operational function. 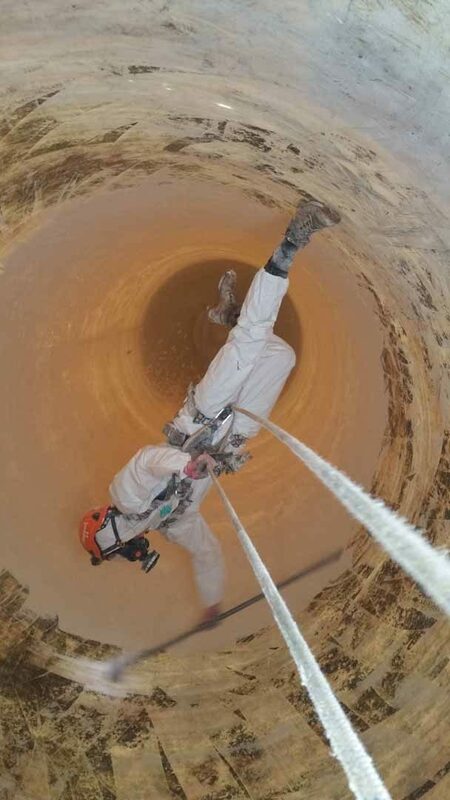 Developing a planned silo cleaning schedule can reduce the likelihood of blockages forming during normal service and lower the possibility of effecting production. 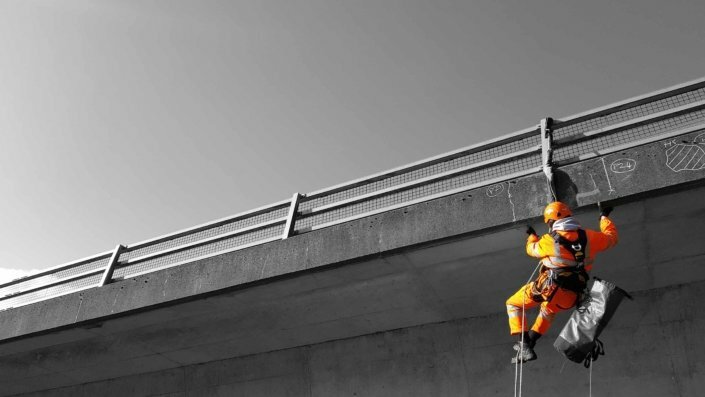 Completely blocked or plugged product occurs when material solidifies or condenses causing a small bridge stopping product being able to flow. 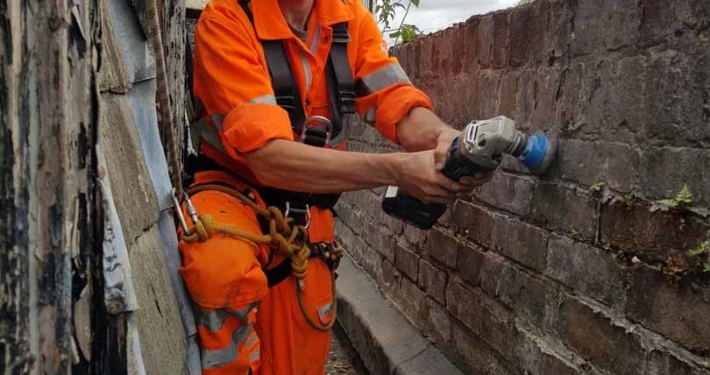 This is commonly caused by condensation build-up or even water ingress within the silo, can also be caused where internal scale collapses and forms a plug. When material or product sticks or compacts to the sides of the silo it is referred to as banking or scale. Left untreated this can develop significantly resulting in reduced silo capacity and lead to further problems with notable impacts on productivity and costs. Collapse of scale / banked material can also cause plugging blockages. 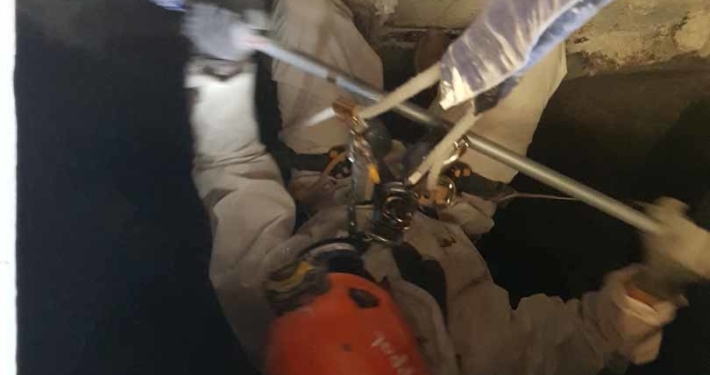 This issue is caused where solidified and compacted product causes large arches and voids in the silo leading to loss of material flow and blockages. This renders the silo unsuitable for use until the problem is rectified usually by full product removal. Tunnelling or Rat Hole within a silo allows only a small amount of product to make it through to the production line. Generally caused by moisture contaminated product resulting in reduced flow. Can also be a severe consequence of untreated scale / banking. 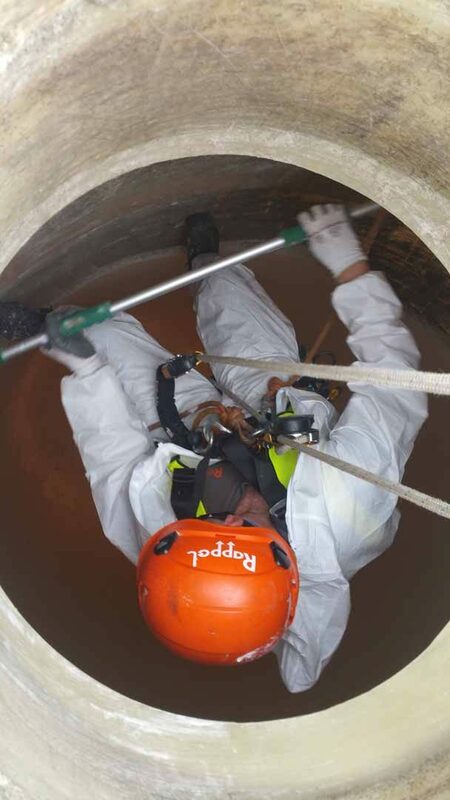 Our silo cleaning and maintenance services are utilised by a number of companies and international organisations that operate silo assets at numerous sites throughout the UK. 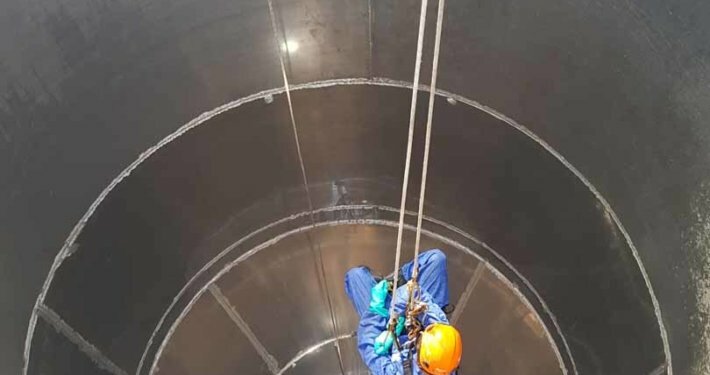 We provide both planned and reactive silo cleaning services to an array of customers within the agricultural, food, beverage, manufacturing and industrial sectors. 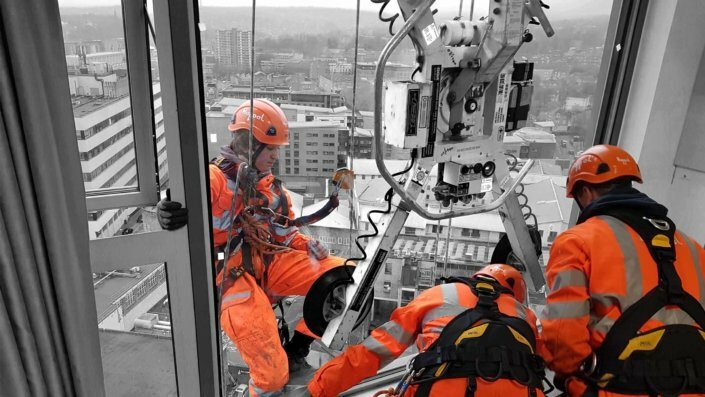 The flexibility of our silo cleaning and maintenance teams allows us to offer nationwide coverage and serve our customers at short notice in emergency situations. 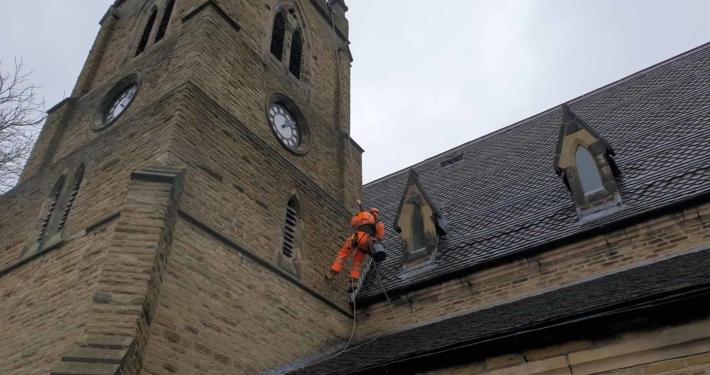 We issue a complementary cleaning works report with every silo clean that we undertake. 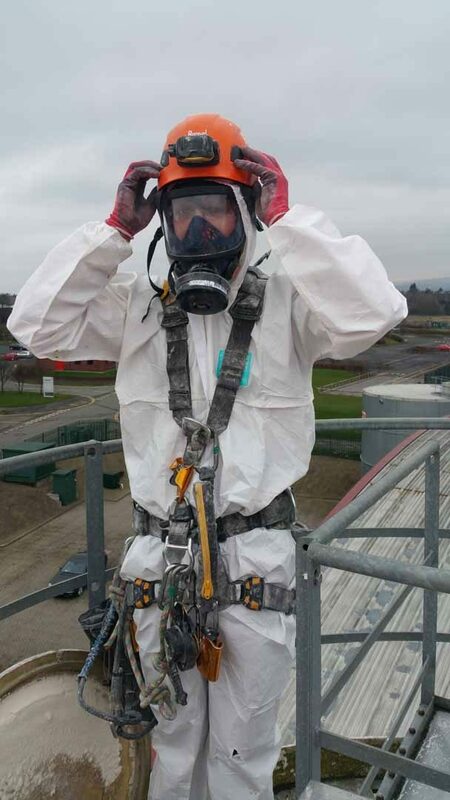 This includes details of the silo cleaning work scope, cleaning methods used, any findings noted by our silo cleaning teams and also contains both pre-clean and post-clean photos for your records. 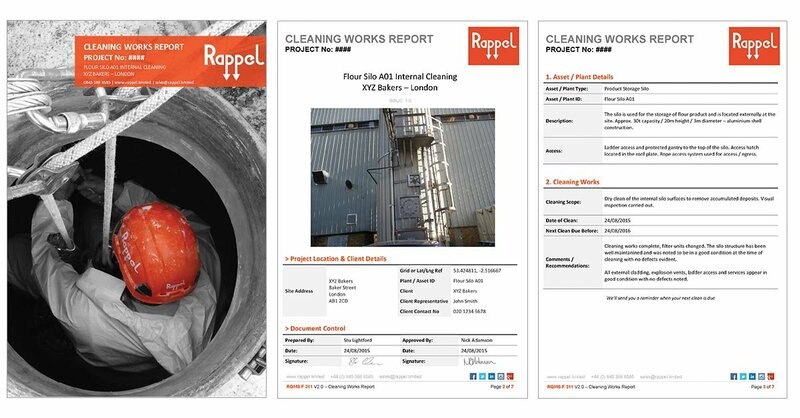 View a sample silo cleaning works report here – (PDF format). 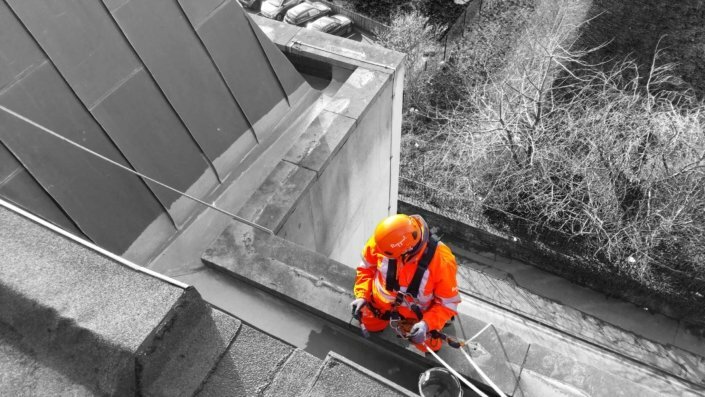 Routine inspections of the external silo structure, supporting steelwork and any installed access ladders or systems is vital to maintaining the proper functioning of your silo assets. 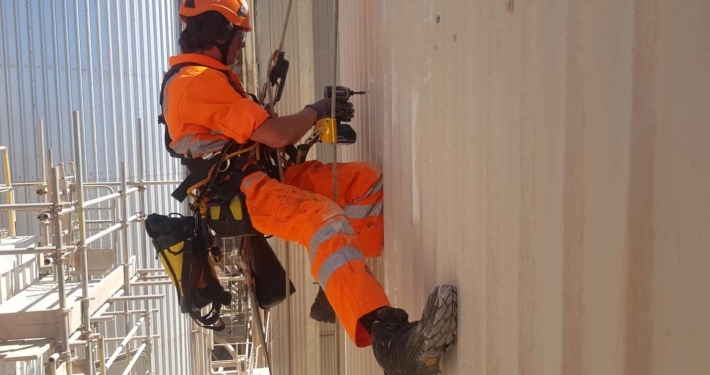 We offer a complete silo inspection and maintenance service designed to spot any potential issues early on, assisting you in preventative maintenance planning. 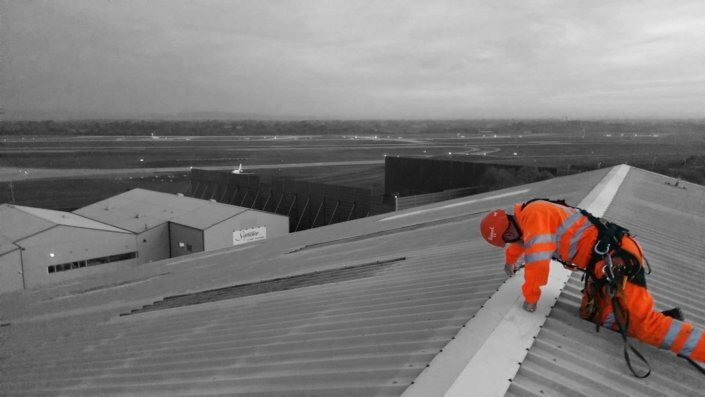 External coating systems will naturally deteriorate over time, sometimes this is accelerated due to local environmental conditions. 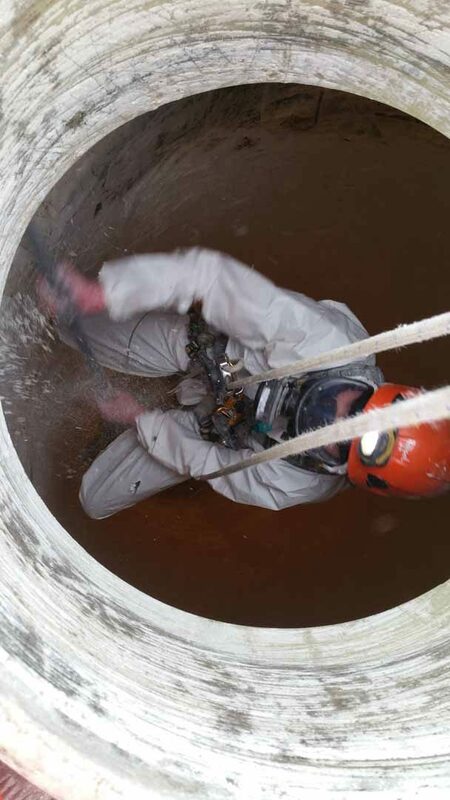 Breakdown of the protective coating system can lead to corrosion of the silo structure. 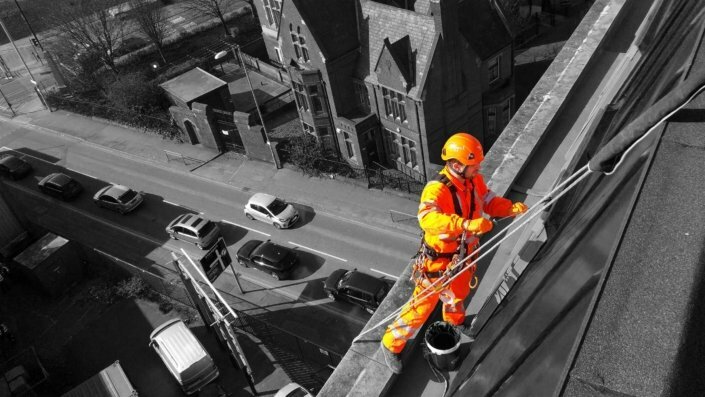 Our paint and protective coatings services are a cost-effective solution for maintaining silo assets and plant.